You must come to know the vision of God’s work and grasp the general direction of His work. This is entry in a positive way. Once you accurately master the truths of the vision, your entry will be secure; no matter how His work changes, you will remain steadfast in your heart, be clear about the vision, and you will have a goal for your entry and your pursuit. In such manner, all the experience and knowledge within you will grow deeper and become more refined. Once you have grasped the bigger picture in its entirety, you will suffer no losses in life, and you shall not be lost. If you do not come to know these steps of work, you shall suffer loss at each of them. You cannot turn around in just a few days, and you will not be able to set upon the right track in even a few weeks. Is this not setting you back? There is much of entry in a positive manner and such practices that you must master, and so too must you grasp several points on the vision of His work, such as the significance of His work of conquest, the path to being made perfect in the future, what must be achieved through experience of trials and tribulations, the significance of judgment and chastisement, the principles of the work of the Holy Spirit, and the principles of perfection and of conquest. These are all truths of the vision. The rest are the three stages of work of the Age of Law, the Age of Grace, and the Age of Kingdom, as well as future testimony. These too are truths pertaining to the vision, and are the most fundamental, as well as most crucial. At present, there is too much that you ought to enter into and practice, and it is now more layered and more detailed. If you have no knowledge of these truths, it is proof that you have not yet entered. Most of the time, man’s knowledge of the truth is too shallow; man is unable to put into practice certain basic truths and does not know how to handle even trivial matters. The reason that man is unable to practice truth is because of his disposition of rebelliousness, and because his knowledge of the work of today is too superficial and one-sided. Thus, it is no easy task for man to be made perfect. Your rebelliousness is too great, and you retain too much of your old self; you are unable to stand on the side of truth, and you are unable to practice even the most evident of truths. Such men cannot be saved and are those who have not been conquered. If your entry has neither detail nor objectives, growth will be slow in coming for you. If your entry has not the slightest bit of reality, then your pursuit will be in vain. If you are unaware of the substance of truth, you will remain unchanged. Growth in man’s life and changes in his disposition are all achieved by entering into reality and, moreover, through entering into detailed experiences. If you have many detailed experiences during your entry, and you have much actual knowledge and entry, your disposition shall quickly change. Even if at present you are not very enlightened in practice, you must at the very least be enlightened about the vision of the work. If not, you shall be unable to enter, and you will not be able to do so unless you first have knowledge of truth. Only if the Holy Spirit enlightens you in your experience will you gain a deeper understanding of the truth and enter more deeply. You must come to know the work of God. After the creation of mankind in the beginning, it was the Israelites who served as the basis of work, and the whole of Israel was the base of Jehovah’s work on earth. The work of Jehovah was to directly lead and shepherd man through setting forth the laws so that man could live a normal life and worship Jehovah in a normal manner on earth. God in the Age of Law was One who could neither be seen nor touched by man. He was merely leading men first corrupted by Satan, and He was there to instruct and shepherd these men, so the words He spoke were only of statutes, ordinances, and common knowledge of living life as a man, and not at all of truths that supply the life of man. The Israelites under His leadership were not those deeply corrupted by Satan. His work of law was only the very first stage in the work of salvation, the very beginning of the work of salvation, and had practically nothing to do with the changes in the life disposition of man. Therefore, there was no need at the beginning of the work of salvation for Him to assume a flesh for His work in Israel. This is why He required a medium, that is, a tool, through which to have contact with man. Thus, there arose among created beings those who spoke and worked on behalf of Jehovah, and this is how the sons of man and prophets came to work among man. The sons of man worked among man on behalf of Jehovah. To be so called by Him means that such men set forth the laws on behalf of Jehovah and they were also priests among the people of Israel; such men were priests watched over, protected by Jehovah, and worked in by the Spirit of Jehovah; they were leaders among the people and directly served Jehovah. The prophets, on the other hand, were those dedicated to speaking on behalf of Jehovah to men of all lands and all tribes. They were also those who prophesied the work of Jehovah. Be it the sons of man or the prophets, all were raised up by the Spirit of Jehovah Himself and had the work of Jehovah in them. Among the people, they were those who directly represented Jehovah; they worked only because they were raised up by Jehovah and not because they were the flesh the Holy Spirit Himself was incarnated in. Therefore, though they similarly spoke and worked on behalf of God, those sons of man and prophets in the Age of Law were not the flesh of God incarnate. This was precisely the opposite in the Age of Grace and the last stage, for the work of salvation and judgment of man were both done by God incarnate Himself, and there was therefore no need to again raise up the prophets and sons of man to work on His behalf. In the eyes of man, there are no substantial differences between the substance and means of their work. And it is for this reason that man always confuses the work of the incarnate God with that of the prophets and sons of man. The appearance of the incarnate God was basically the same as that of the prophets and sons of man. And the incarnate God was even more ordinary and more real than the prophets. Hence man is completely unable to distinguish between them. Man focuses solely on appearances, completely unaware that, though both work and speak, there is a substantial difference. Because man’s ability of discernment is too poor, man is unable to discern basic issues, and is even less capable of distinguishing something so complex. The words and work of the prophets and those used by the Holy Spirit were all doing man’s duty, performing his function as a created being, and doing what man should do. However, the words and work of God incarnate were to carry out His ministry. Though His external form was that of a created being, His work was not to carry out His function but His ministry. The term “duty” is used with regard to created beings, whereas “ministry” is used with regard to the flesh of God incarnate. There is an essential difference between the two, and the two are not interchangeable. The work of man is only to do his duty, whereas the work of God is to manage, and to carry out His ministry. Therefore, though many apostles were used by the Holy Spirit and many prophets were filled with Him, their work and words were merely to do their duty as a created being. Though their prophecies might be greater than the way of life spoken of by the incarnate God, and even their humanity was more transcendent than that of the incarnate God, they were still doing their duty, and not fulfilling their ministry. The duty of man refers to the function of man, and is something attainable for man. However, the ministry carried out by the incarnate God is related to His management, and this is unattainable by man. Whether the incarnate God speaks, works, or manifests wonders, He is doing great work within His management, and such work cannot be done by man in His stead. The work of man is only to do his duty as a created being in a given stage of God’s work of management. Without God’s management, that is, if the ministry of God incarnate were to be lost, so too would the duty of a created being. God’s work in carrying out His ministry is to manage man, whereas man doing his duty is the performance of his own obligations to meet the demands of the Creator and can in no way be considered to be carrying out one’s ministry. To the inherent essence of God, that is, His Spirit, the work of God is His management, but to God incarnate, who wears the external form of a created being, His work is the carrying out of His ministry. Whatever work He does is to carry out His ministry, and all man can do is to give of his best within the scope of His management and under His leadership. Man doing his duty is, in actuality, the accomplishment of all that is inherent within man, that is, that which is possible for man. It is then that his duty is fulfilled. The defects of man during man’s service are gradually reduced through progressive experience and the process of his experience of judgment; they do not hinder or affect man’s duty. Those who cease to serve or yield and fall back in fear of the defects that may exist in service are the most cowardly of all men. If man cannot express what he ought to express during service or achieve what is inherently possible for him, and instead fools about and goes through the motions, he has lost the function that a created being should have. This kind of man is considered a mediocre nonentity and useless waste of space; how can one such as this be dignified with the title of a created being? Are they not entities of corruption that shine on the outside but are rotten within? If a man calls himself God yet is unable to express the being of divinity, do the work of God Himself, or represent God, he is undoubtedly not God, for he has not the essence of God, and that which God can inherently achieve does not exist within him. If man loses what is inherently attainable, he can no longer be considered man, and he is not worthy to stand as a created being or come before God and serve Him. Moreover, he is not worthy to receive the grace of God or be watched over, protected, and made perfect by God. Many who have lost the trust of God go on to lose the grace of God. They not only do not despise their misdeeds but brazenly propagate the idea that the way of God is incorrect. And those rebellious even deny the existence of God; how can such kind of man with such rebelliousness have the privilege of enjoying the grace of God? Men who have failed to fulfill their duty have been very rebellious against God and owe much to Him, yet they turn and lambaste that God is wrong. How could such kind of man be worthy of being made perfect? Is this not the forerunner of being eliminated and punished? A man who does not do his duty before God is already guilty of the most heinous of crimes, for which even death is an insufficient punishment, yet man has the gall to argue with God and match themselves against Him. What is the worth of making perfect such kind of man? If man fails to fulfill his duty, he ought to feel guilt and indebtedness; he ought to despise his weakness and uselessness, his rebelliousness and corruptness, and moreover, ought to sacrifice his life and blood for God. Only then is he a created being who truly loves God, and only such kind of man is worthy of enjoying the blessings and promise of God, and of being made perfect by Him. And what of the majority of you? How do you treat the God who lives among you? How have you done your duty before Him? Have you done all you were called upon to do, even at the expense of your own life? What have you sacrificed? Have you not received much from Me? Can you make the distinction? How loyal are you to Me? How have you served Me? And what of all that I have bestowed upon you and I have done for you? Have you taken measure of it all? Have you all judged and compared this with what little conscience you have within you? Who could your words and actions be worthy of? Could it be that such minuscule sacrifice of yours is worthy of all I have bestowed upon you? I have no other choice and have been wholeheartedly devoted to you, yet you harbor wicked misgivings about Me and are halfhearted. That is the extent of your duty, your only function. Is this not so? Don’t you know that you have not at all fulfilled the duty of a created being? How can you be considered a created being? Do you not clearly know what it is that you are expressing and living out? You have failed to fulfill your duty, but you seek to gain the mercy and bountiful grace of God. Such grace has not been prepared for ones as worthless and base as you, but for those who ask for nothing and gladly sacrifice. Such men as you, such mediocre nonentities, are not at all worthy to enjoy the grace of heaven. Only hardship and interminable punishment shall accompany your days! If you cannot be faithful to Me, your fate shall be one of suffering. If you cannot be accountable to My words and My work, your lot will be one of punishment. Any grace, blessings, and wonderful life in the kingdom shall have nothing to do with you. This is the end you deserve to meet and a consequence of your own doing! Not only have those unwise and arrogant men not tried their best or done their duty, but instead they have hands outstretched for grace, as if what they ask for is deserved. And if they fail to gain what they ask for, they become ever more faithless. How can such men be considered to be reasonable? You are of poor caliber and devoid of reason, completely incapable of fulfilling the duty you ought to fulfill during the work of management. Your worth has already fallen precipitously. Your failure to repay Me for showing you such favor is already an act of extreme rebelliousness, sufficient to condemn you and demonstrate your cowardice, incompetence, baseness, and unworthiness. How could you still be qualified to keep your hands outstretched? You are unable to be of the slightest assistance to My work, unable to commit to your faith, and unable to stand witness for Me. These are already your misdeeds and failings, yet you instead attack Me, tell falsehoods of Me, and complain that I am unrighteous. Is this what constitutes your loyalty? Is this what constitutes your love? What other work can you do beyond this? How have you contributed to all the work that has been done? How much have you spent? It is already an act of great mercy that I place no blame upon you, yet you still shamelessly give Me excuses and complain about Me in private. Do you have even the slightest tinge of humanity? Though the duty of man is tainted by the mind of man and his notions, you must do your duty and commit to your faith. The impurities in the work of man are an issue of his caliber, whereas, if man does not do his duty, it shows his rebelliousness. There is no correlation between the duty of man and whether he is blessed or cursed. Duty is what man ought to fulfill; it is his bounden duty and should not depend on recompense, conditions, or reasons. Only then is that doing his duty. A man who is blessed enjoys goodness upon being made perfect after judgment. A man who is cursed receives punishment when his disposition remains unchanged following chastisement and judgment, that is, he has not been made perfect. As a created being, man ought to fulfill his duty, do what he ought to do, and do what he is able to do, regardless of whether he will be blessed or cursed. This is the very basic condition for man, as one who seeks after God. You should not do your duty only to be blessed, and you should not refuse to act for fear of being cursed. Let Me tell you this one thing: If man is able to do his duty, it means he performs what he ought to do. If man is unable to do his duty, it shows the rebelliousness of man. It is always through the process of doing his duty that man is gradually changed, and it is through this process that he demonstrates his loyalty. As such, the more you are able to do your duty, the more truths you shall receive, and so too shall your expression become more real. Those who merely go through the motions in doing their duty and do not seek the truth shall be eliminated in the end, for such men do not do their duty in the practice of truth, and do not practice truth in the fulfillment of their duty. Such men are those who remain unchanged and will be cursed. Not only are their expressions impure, but what they express is nothing but wickedness. In the Age of Grace, Jesus also spoke much and did much work. How was He different from Isaiah? How was He different from Daniel? Was He a prophet? Why is it said that He is Christ? What are the differences between them? They were all men who spoke words, and their words appeared more or less the same to man. They all spoke and did work. The prophets of the Old Testament made prophecies, and similarly, so could Jesus. Why is this so? The distinction here is based on the nature of the work. In order to discern this matter, you cannot consider the nature of the flesh and you should not consider the depth or superficiality of one’s words. Always you must first consider his work and the effects his work achieves in man. The prophecies spoken by the prophets at the time did not supply the life of man, and the messages received by those such as Isaiah and Daniel were merely prophecies and not the way of life. If not for the direct revelation of Jehovah, none could have done that work, which is not possible for mortals. Jesus, too, spoke much, but such words were the way of life from which man could find a path to practice. That is to say, first, He could supply the life of man, for Jesus is life; second, He could reverse the deviations of man; third, His work could succeed that of Jehovah in order to carry on the age; fourth, He could grasp the needs of man within and understand what man lacks; fifth, He could usher in a new age and conclude the old. That is why He is called God and Christ; not only is He different from Isaiah but also from all other prophets. Take Isaiah as a comparison for the work of the prophets. First, he could not supply the life of man; second, he could not usher in a new age. He was working under the leadership of Jehovah and not to usher in a new age. Third, what he himself spoke of was beyond his comprehension. He was receiving revelations directly from the Spirit of God, and others would not understand, even having listened to them. These few things alone are sufficient to prove that his words were no more than prophecies, no more than an aspect of work done in Jehovah’s stead. He could not, however, completely represent Jehovah. He was Jehovah’s servant, an instrument in Jehovah’s work. He was only doing work within the Age of Law and within the scope of the work of Jehovah; he did not work beyond the Age of Law. On the contrary, the work of Jesus differed. He surpassed the scope of Jehovah’s work; He worked as the incarnate God and underwent crucifixion in order to redeem all mankind. That is to say, He carried out new work outside of the work done by Jehovah. This was the ushering in of a new age. Another condition is that He was able to speak of that which man could not achieve. His work was work within the management of God and involved the whole of mankind. He did not work in just a few men, nor was His work to lead a limited number of men. 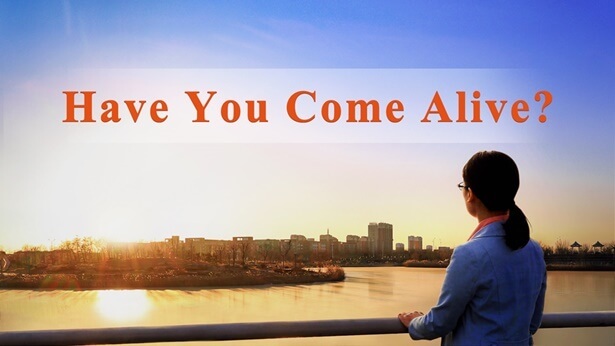 As for how God was incarnated to be a man, how the Spirit gave revelations at that time, and how the Spirit descended upon a man to do work, these are matters that man cannot see or touch. It is utterly impossible for these truths to serve as proof that He is the incarnate God. As such, distinction can only be made upon the words and work of God, which are tangible to man. Only this is real. This is because matters of the Spirit are not visible to you and are known clearly only by God Himself, and not even God’s incarnate flesh knows all; you can only verify whether He is God[a] from the work He has done. From His work, it can be seen that, first, He is able to open up a new age; second, He is able to supply the life of man and show man the way to follow. This is sufficient to establish that He is God Himself. At the very least, the work He does can fully represent the Spirit of God, and from such work it can be seen that the Spirit of God is within Him. As the work done by the incarnate God was mainly to usher in a new age, lead new work, and open up new circumstances, these few conditions alone are sufficient to establish that He is God Himself. This thus differentiates Him from Isaiah, Daniel, and the other great prophets. Isaiah, Daniel, and the others were all of a class of highly educated and cultured men; they were extraordinary men under the leadership of Jehovah. The flesh of God incarnate too was knowledgeable and had no lack of intellect, but His humanity was particularly normal. He was an ordinary man, and the naked eye could not discern any special humanity about Him or detect anything in His humanity unlike that of others. He was not at all supernatural or unique, and He did not possess any higher education, knowledge, or theory. The life He spoke of and the path He led were not gained through theory, through knowledge, through life experience, or through family upbringing. Rather, they were the direct work of the Spirit and of the incarnate flesh. It is because man has great notions of God, and particularly because these notions are made of too many elements of vagueness and the supernatural that, in the eyes of man, an ordinary God with human weakness, who cannot work signs and wonders, is assuredly not God. Are these not the erroneous notions of man? If the flesh of God incarnate was not a normal man, then how could He be said to have become flesh? To be of the flesh is to be an ordinary, normal man; if He had been a transcendent being, then He would not have been of the flesh. To prove that He is of the flesh, God incarnate needed to possess a normal flesh. This was simply to complete the significance of the incarnation. However, this was not the case for the prophets and sons of man. They were men gifted and used by the Holy Spirit; in the eyes of man, their humanity was particularly great, and they performed many acts that surpassed normal humanity. For this reason, man regarded them as God. Now you all must understand this clearly, for it has been the issue most easily confused by all men in ages past. Additionally, the incarnation is the most mysterious of all things, and God incarnate is the most difficult for man to accept. What I say is conducive to fulfilling your function and your understanding the mystery of the incarnation. This is all related to God’s management, to the vision. Your understanding of this will be more beneficial to gaining knowledge of the vision, that is, the management work. In this way, you will also gain much understanding of the duty that different kinds of men ought to perform. Though these words do not directly show you the way, they are still of great help to your entry, for your lives at present are much lacking in vision, and this will become a significant obstacle preventing your entry. If you have been unable to understand these issues, then there will be no motivation driving your entry. And how can such pursuit enable you to best fulfill your duty?